We’re supposed to be thankful at Thanksgiving and though I was, I didn’t post Thanksgiving wishes. So before we ring out the old year let me start by saying thanks to Nowdy for sticking around for our second year online into our third. She is truly an angel to the people of the Gulf Coast. I’d also like to thank our commenters especially all our regulars and Sup who I’m certain at times just wants to pull his hair out trying to “reason” with us but who remains incredibly kind to us in spite of that. Next up are the lawyers that make sure we keep our I’s dotted and T’s crossed. The dedication of the trial bar to seeing justice done for ordinary people is truly inspiring. I’d also like to express our gratitude to Congressman Gene Taylor and his staff, especially Brian, Ana Maria and Stephen who are our tireless advocates for the coast, both here and in DC. Without Gene holding the insurance industry’s feet to the fire, what happened here after Katrina would certainly have been swept under the carpet. I thank our many readers that literally hail from across the world for coming back again and again reading our posts, even Amy and Robert Bullstroke. …The Court need not resolve this question because district courts do not certify “questions” for the court of appeals upon the grant of a § 1292(b) motion. The eleven-page Order and Reasons s is classic Vance – another pick ’em up, put ’em down tutorial on qui tam law! Prosecutors wield tremendous power, which is kept in check by a set of unique ethical obligations. In explaining why prosecutors sometimes fail to honor these multiple and arguably divergent obligations, scholars tend to fall into two schools of thought. The first school focuses upon institutional incentives that promote abuses of power. These scholars implicitly treat the prosecutor as a rational actor who decides whether to comply with a rule based on an assessment of the expected costs and benefits of doing so. The second school focuses upon bounded human rationality, drawing on the teachings of cognitive science to argue that prosecutors transgress not because of sinister motives, but because they labor under the same cognitive limitations that all humans do. … Research on the psychological effects of accountability demonstrates that when people are judged primarily for their ability to persuade others of their position, they are susceptible to defensive bolstering at the expense of objectivity. Should the solvency of Kingsway Financial Services matter to Mississippians? Don’t count on Mr Chaney for the answer. I’ll admit it, until I was tipped I had no idea who Kingsway Financial Services was or whether they were doing business in Mississippi. Then again I am a hard hat CPA so that should be expected. But what about our DOI? Curious, I began to google and before long I tuned up one of Kingsway’s subsidaries that did business in Mississippi in Southern United Fire Insurance Company based out of Mobile. Giving credit where it is due the folks at Southern United give a link to their AM Best rating on the front page of their web portal. It is not good by the way. So my next stop was what should have been the first stop but I knew better than that. You see, at the Mississippi Department of Insurance seldom is heard a discouraging word about insurers whether solvent or not. For better or worse our state regulator Mike Chaney is asleep at the switch when it comes to these things. As an independent agent that is not asleep at the switch told me today, insure with Southern United if you want the cheapest rate, just don’t count on them being around in 6 months to pay your claim. ‘Nuff said. Author Posted on December 30, 2009 Categories SopTags Insurer Insolvency, Mike Chaney, Mississippi Department of Insurance, Regulatory Capture, Southern United Fire Insurance Company1 Comment on Should the solvency of Kingsway Financial Services matter to Mississippians? Don’t count on Mr Chaney for the answer. Kingsway Financial Services Inc., through its subsidiaries, provides property and casualty insurance to individuals and businesses in the United States and Canada. It primarily offers non-standard automobile and trucking insurance. The companys non-standard automobile insurance covers drivers who do not qualify for standard automobile insurance coverage because of their payment history, driving record, place of residence, age, vehicle type, or other factors; and trucking insurance cover liability, accident benefits, physical damage, cargo, and comprehensive general liability under a package program. It also provides standard automobile insurance; commercial automobile insurance; commercial and personal property coverages; motorcycle insurance; residential wind insurance coverage; construction defect claims; and other specialty coverages, such as customs, bail, and surety bonds. In addition, the company purchases reinsurance from third parties. The Yahoo profile typically derives from the first footnote to the annual financial statements issued by the company. Not included of course is a short financial history which in Kingsway’s case we define as beginning in 2005 when this huge company began to implode racked by bad underwriting and investment decisions. In this case the shareholders tried to get management to right the ship led by activist investor Joseph Stilwell whose group owns over 10% of Kingsway. Mr Stilwell also could answer to the title bagholder as I’ll explain a bit later. Jim Brown on airline security and the latest would be terrorist: Great Balls of Fire! I was in the New Orleans airport this week waiting as a family member made her way through airport security with two small babies. Boy, were these guys with the Transportation Security Agency on the job and up to the task of stopping any terrorist threats. They all but strip searched her, opening every baby bottle and jars of baby food. Nothing gets by these guys. Well, except for Arabs loaded down with explosives. No profiling allowed even though terrorist after terrorist fits a similar description. We can’t do that for it would be politically incorrect. Why is it that we profile clothes, but not the person? One guy years ago tries to set off an explosive with his shoe, so every traveler from that time on has to take off the shoes. Author Posted on December 30, 2009 Categories Jim BrownTags Jim Brown10 Comments on Jim Brown on airline security and the latest would be terrorist: Great Balls of Fire! A mind is like a parachute. If it doesn’t open, you’re f#@%*d! If you’ve wondered why there are differing perspectives about the factual basis of litigation, find the cord to your parachute and open your mind to Harvard Law’s Project on Law and Mind Sciences and situationism. Have we seen the end of rational economics? Behavioral Economics explains the Scheme. We are all captives of the picture in our head… – so, whose head pictured honest-services fraud? Author Posted on December 29, 2009 Categories Fifth Circuit Court of Appeal, Hurricane Katrina litigation, Insurance LawTags Fifth Circuit Court of Appeals, Harvard Law's Project on Law and Mind Sciences, Insurance Law, Katrina Litigation, Situationism4 Comments on A mind is like a parachute. If it doesn’t open, you’re f#@4*d! 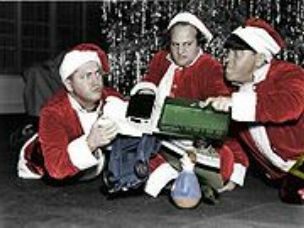 Scrooges and Stooges – State Farm attorneys pack the sleigh! Filling stockings with motions and giving justice a jerk! State Farm Fire & Casualty Co. recently paid a couple $179,100.31 for Katrina damage, but their attorney said the check came too late to save Henry and June Kuehn’s Cove Place home. Attorney Earl Denham said the two-story house further deteriorated as the Kuehns awaited settlement of their insurance claim. The city of Ocean Springs wants the property cleaned up. U.S. District Judge L.T. Senter Jr. ordered the Katrina payment in August, but State Farm has asked him to reconsider the ruling. “This amount is tendered without recourse, but with the understanding that this is not an admission of an amount owed,” said a letter sent with the check by State Farm attorney Scot Spragins of Oxford. “Given the circumstances, State Farm has decided to make this tender to eliminate the threatened destruction of the Kuehns’ home. Author Posted on December 24, 2009 Categories Hurricane Katrina litigation, State FarmTags Bossier v State Farm, ex rel Rigsby v State Farm, Kuehn v State Farm, Lebon v State Farm, Lizana v State Farm, New Light Baptist Church v State Farm, O'Keefe v State Farm, Rigsby Qui Tam1 Comment on Scrooges and Stooges – State Farm attorneys pack the sleigh! Is Chaney the Grinch who stole insurance industry’s Christmas? He puzzled and puzzled till his puzzler was sore. Then the Grinch thought of something he hadn’t before! Maybe everyday doesn’t have to be Christmas for insurers who want higher rates for the shore. Maybe Christmas…perhaps…means zones are no more! 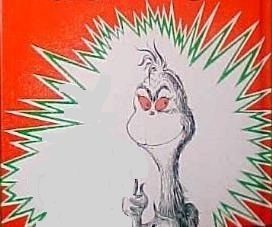 Author Posted on December 24, 2009 Categories Allstate, Mike Chaney, Mississippi Insurance Department, Mississippi Windstorm Underwriting Association, Reinsurance, State FarmTags Allstate, Coastal insurance rates, Mike Chaney, Mississippi Insurance Department, Mississippi Windstorm Underwriting Association, State Farm6 Comments on Is Chaney the Grinch who stole insurance industry’s Christmas?